Yoga is an investment into your physical, mental and emotional health. It is a form of exercise that stretches and strengthens your body, and at the same time, calms your nervous system. This is because a huge emphasis is placed on your breathing. As a result you feel incredibly alive, relaxed and strong. A yoga class usually lasts 60 to 90 minutes. You will need to wear loose comfortable clothes such as leggings, shorts or tracksuit bottoms and a t-shirt. In general it is a good idea for hygiene purposes to invest in a yoga mat and bring it to class. However most studios & teachers these days provide yoga mats. Ashtanga or Power Yoga is fast paced and aerobic. Bikram is fast paced and in a hot temperature room. Vinyasa or Hatha Yoga Flow is a little bit slower paced and gentler. Iyengar Yoga is all about alignment and very precise directions. It uses blocks and props. Yoga Nidra is all about relaxation and is usually done lying down. None of these classes are better than the other. There are all different and cater for peoples’ different needs and preferences. If unsure, try out a few different types and find out which is best for you! The yoga teacher that you go to is key. You will spend over an hour listening to this person’s voice and instructions. It is fundamental that this is a pleasant experience. You want to go to a yoga teacher that you connect with and whose approach you enjoy! Aoife’s official training has been in Hatha yoga. 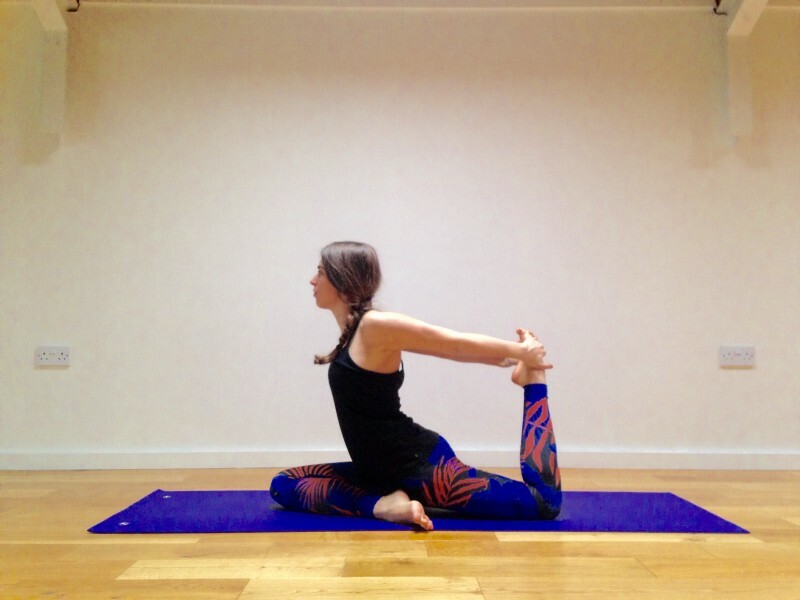 However her teaching has been influenced from different teachers and mentors, and their different styles such as Iyengar, Vinyasa and Ashtanga. In general her classes have a sense of flow to them and could be classified as Hatha or Hatha Flow but they usually vary greatly depending on the age group and level of the students. She has taught teenagers, children, adults, men and the elderly. 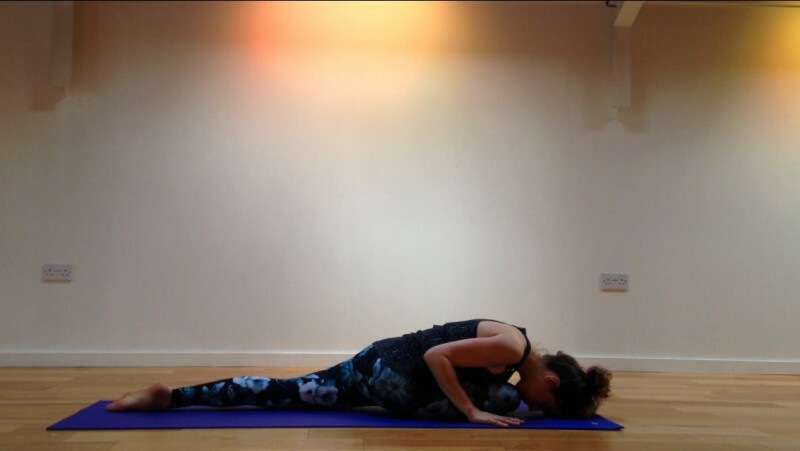 Aoife will always try to incorporate an initial relaxation (lying down), some breath work (pranayama), a number of sun salutations, asanasa (postures) and final relaxation. If the group is open to it, she will sometimes touch upon meditation or mindfulness. Her overallfocus is on body alignment, toning the core muscles and creating strength in the back. She makes the classes personable, fun and relaxing! Yoga is the art of keeping the body healthy, vital and young. It’s meaning is yoke or to unite. In this way the practice of yoga helps to harmonize our mind (nervous system), our physical body and our emotions. Through the asanas (physical postures), we strengthen all the joints, muscles, bones and organs in the body. Our body literally receives a fresh and plentiful supply of blood. Our hormones are regulated through its effect on the endocrine system. If we think of our body pulsing with electrical currents of energy, ‘Ha-tha’ – refers to the ‘positive’ and ‘negative’ currents of energy in our body. The practice of yoga balances at a deep and subtle level the positive and negative circuits which enable life to flow through us. Can I start a class with a bad back? Can I eat before yoga? What is the best time to practice? How often and for how long should I practice yoga? No. Yoga is available to all ages, levels of fitness and flexibility. Physical restrictions will naturally lessen over time with sensitive practice. There are many different back conditions so it is a good idea to seek medical advice first. I have worked with many students who improved their backs through yoga. When approached sensibly, yoga can strengthen the core muscles and release tension in the back. Every person is different. But in general students tend to feel some benefits immediately, such as the release of physical tension and the strengthening of muscles. In general and especially if you have never done yoga before, it is recommended that you start after the first trimester. If you are pregnant and going to a normal yoga class, tell your teacher as there are certain positions which are contraindicated for pregnancy. If you have a medical condition you are not sure about, consult your doctor. In general it is best to have an empty stomach during a yoga session, if possible leave 2 hours between a main meal and yoga. First thing in the morning can be a great way to start to the day. You will feel energized and stretched. Evening time can be an fantastic way to unwind. Whenever yoga fits into your life, will be the right time for you. For some people 1 hour a week is enough. Others practice more because it makes them feel so good. For example you could start off with 2 to 3 times a week, then increase to everyday. Even 10-20 minutes a day can make a big difference! Practice when you can. Listen to your body and your individual needs. In general, don’t practice more than twice a day. No, yoga is not a religion. Yoga is seen to be about 5000 years old. Think of it as more of a philosophy. Its forefather is said to be “Patanjali”. Patanjali wrote the “yoga sutra’. These scriptures form a framework for spiritual growth and mastery over the physical and mental body.